This next pair of pajamas is an even bigger stretch at being considered "Halloween pajamas". Another current obsession for Noah is camo. And while camo has become a huge part of Noah's daily wardrobe, for some reason I still think of it as dressing up. Like he's dressing up as a soldier or a hunter. So if you go with that premise, than these pajamas are sort of like dress up, which is what Halloween is all about. Or I'm just a crazy person who didn't get my child Halloween pajamas and now I'm just making up stuff to feel better. 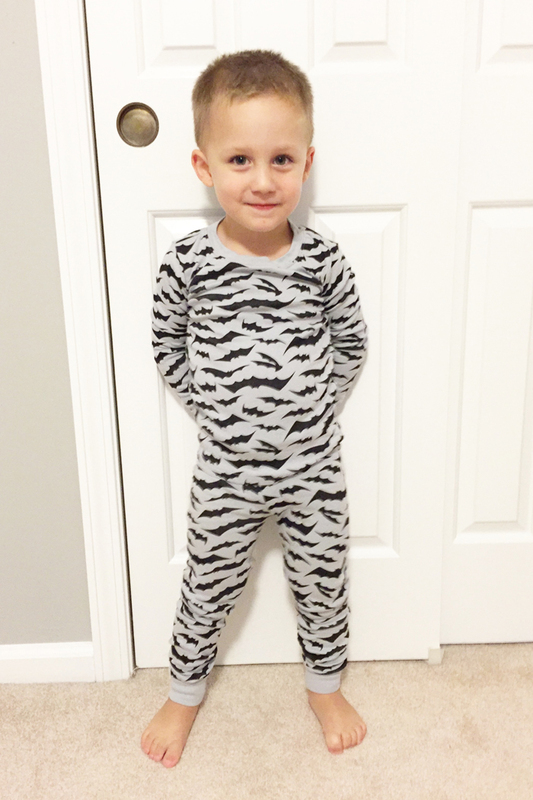 You can be the judge ;) Nevertheless, I love these pajamas and I'm excited for Noah to wear them all winter long! 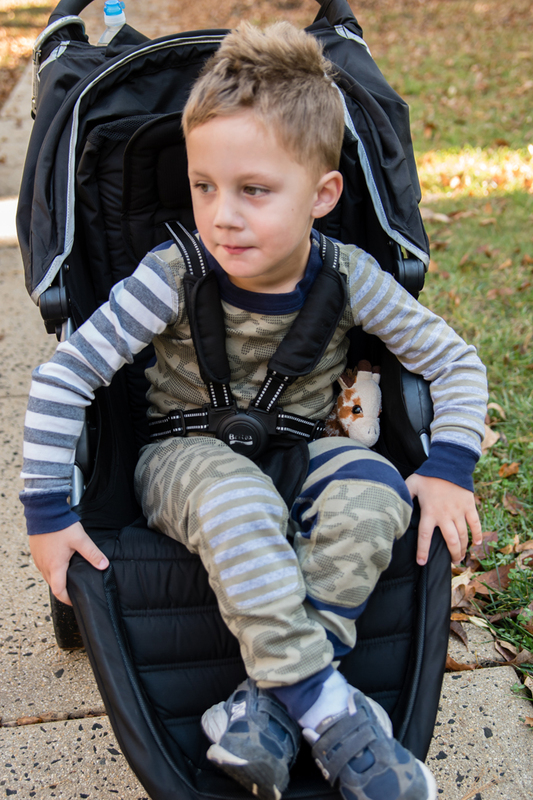 And yes, I let Noah wear his pajamas out in public to go on our neighborhood walk! The camo pajamas are also Hanna Andersson, but no longer online. 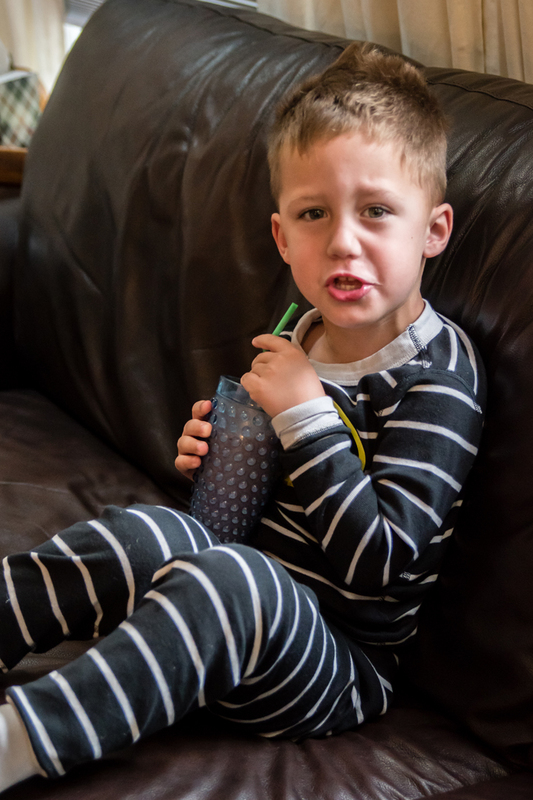 Noah is either upset that I didn't buy him real Halloween pajamas or he is just tired of me taking photos of him. Trust me when I say that it's because of the latter! But in honor of Rewind Friday, I thought I would go back to a time when Noah actually had a few pair of Halloween pajamas to wear throughout October! 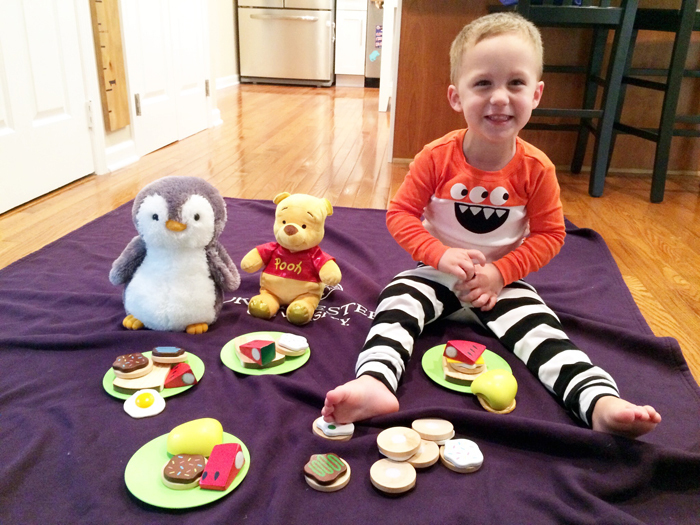 last year's Pajama Party linkup! Now it’s your turn to link up some of your favorite overlooked posts for the last time. Yes, you read that right... Beth, Whitney, Stephanie and I have decided that it's time for the Rewind Friday linkup to end. We've had fun revisiting our old posts and reading yours, but all good things must come to an end. And to those of you who have faithfully linked up, THANK YOU! Okay friend…you find the cutest jams for little boys. I love them all. Especially the pair with the black and white striped pants. And those camo ones are among my favorites! I know I say this every time I talk to you, but Noah is so precious. I just love him! We wear pj's in public ALL THE TIME! :) Too cute! We are in the same exact situation with Owen. He can fit into a 5T right now, but it's often too short and he will be out growing it in a week, so I have been buying all of his fall and winter clothes in the boys' section -- and I agree that the stuff just is not as cute. I was bummed about the pjs too. 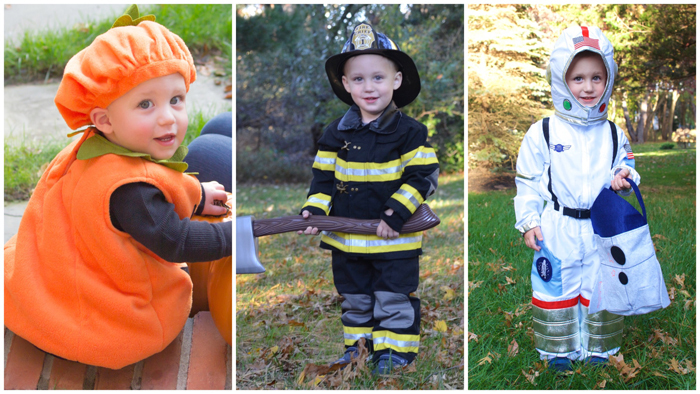 I have so loved all the cute ones from Gap and ON over the years. Carter's actually sells pretty cute ones all the way up to 10T! It's a nice option when all that Hanna Anderson gets too $$$! I HATED when my girls left the toddler department. Things just get so much more espensive :(. Love all of those throw back photos. of Noah. Hanna Andersson pjs are my favorite! 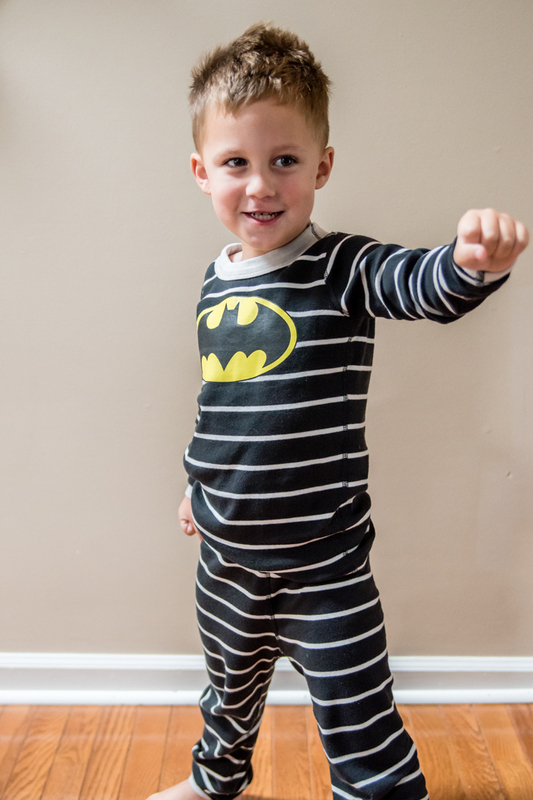 I love his Batman pjs!